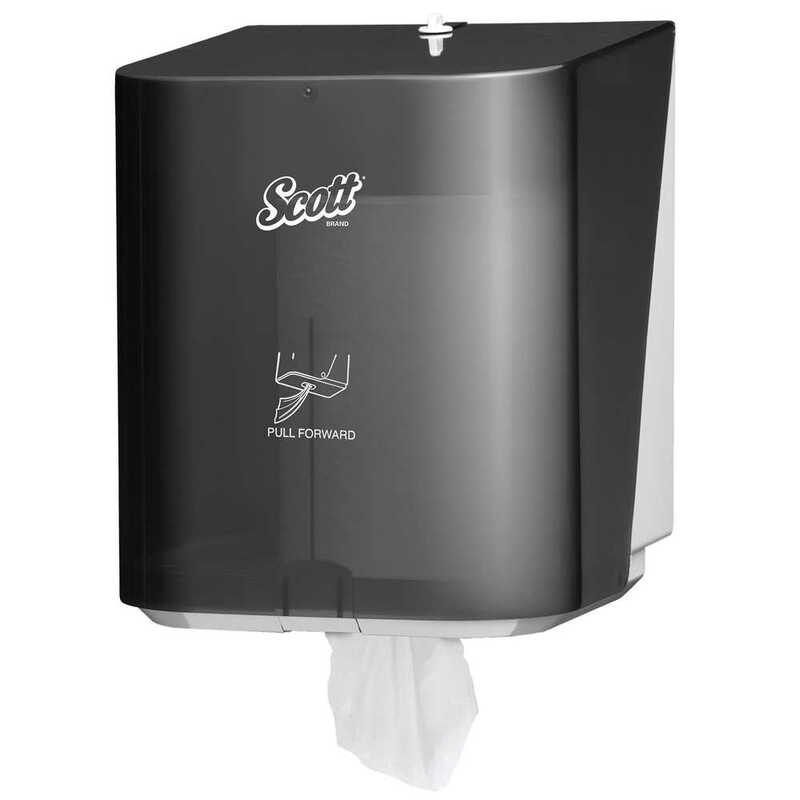 Scott Center Pull Paper Towels are an efficient, hygienic and economical choice for your small business’ hand drying needs. 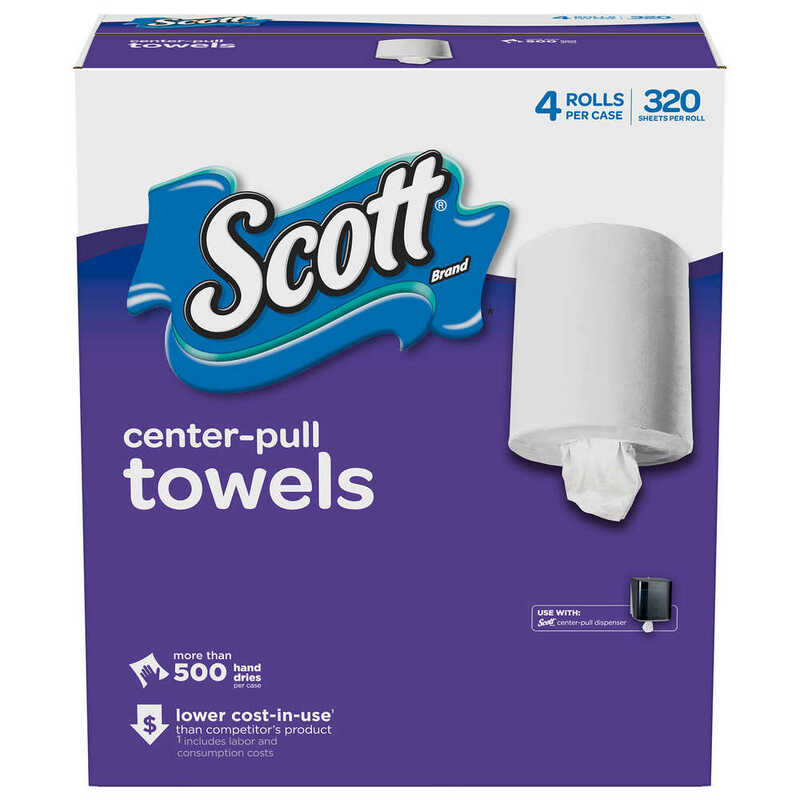 Each of the center pull towels are perforated, won’t bunch and are designed for one-hand dispensing right from the center of the roll. 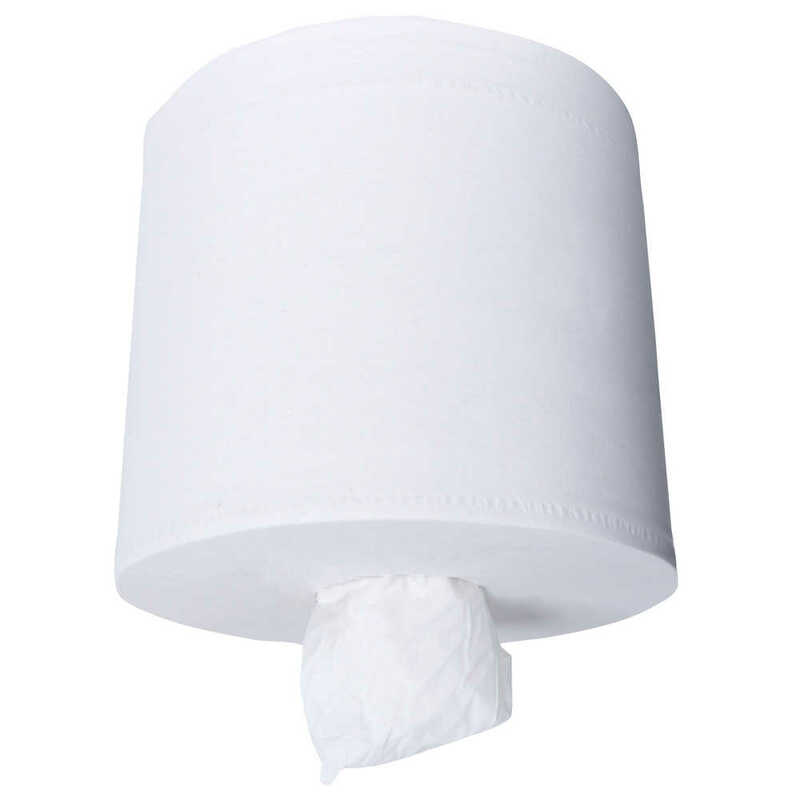 These hand paper towels are made to only dispense one towel per pull, so your guests will waste less. 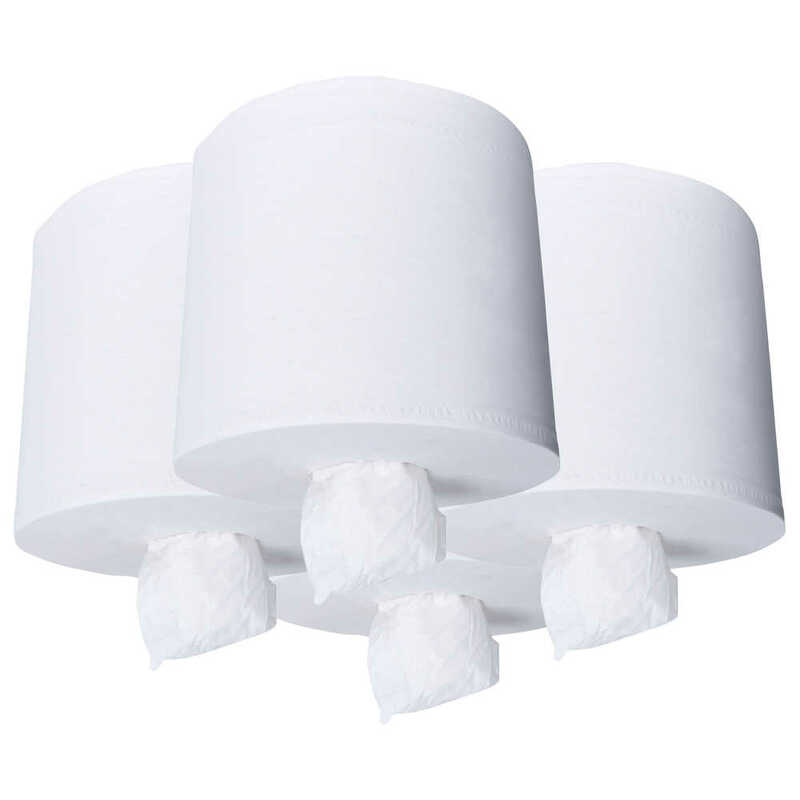 While the Scott paper towels center pull have a light feel (like a tissue), they’re strong, like a towel. 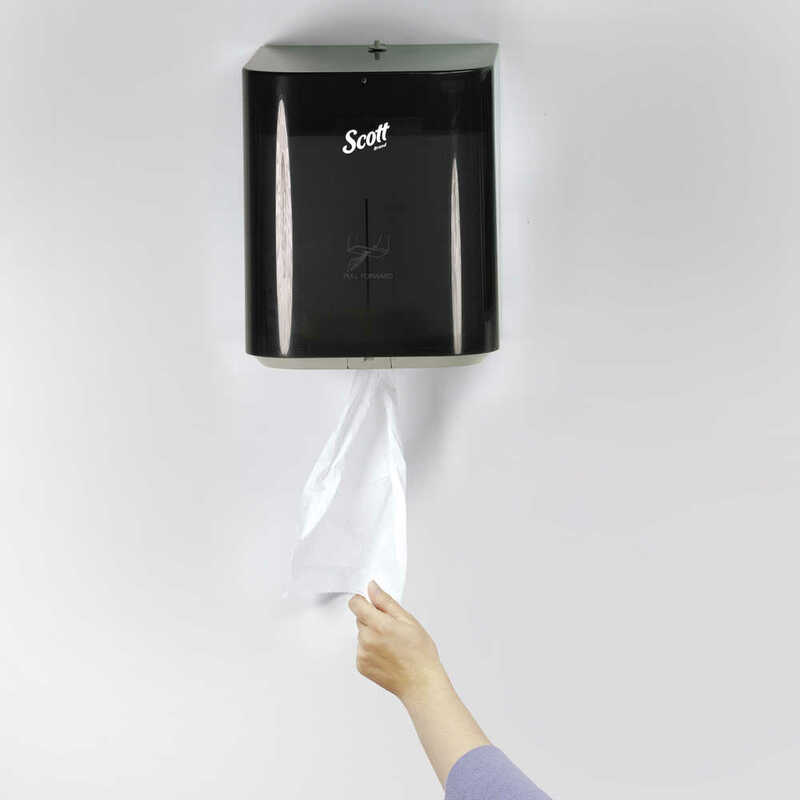 They are a hygienic choice for your business’ restroom, since your guests and employees only need to touch the towel they use. 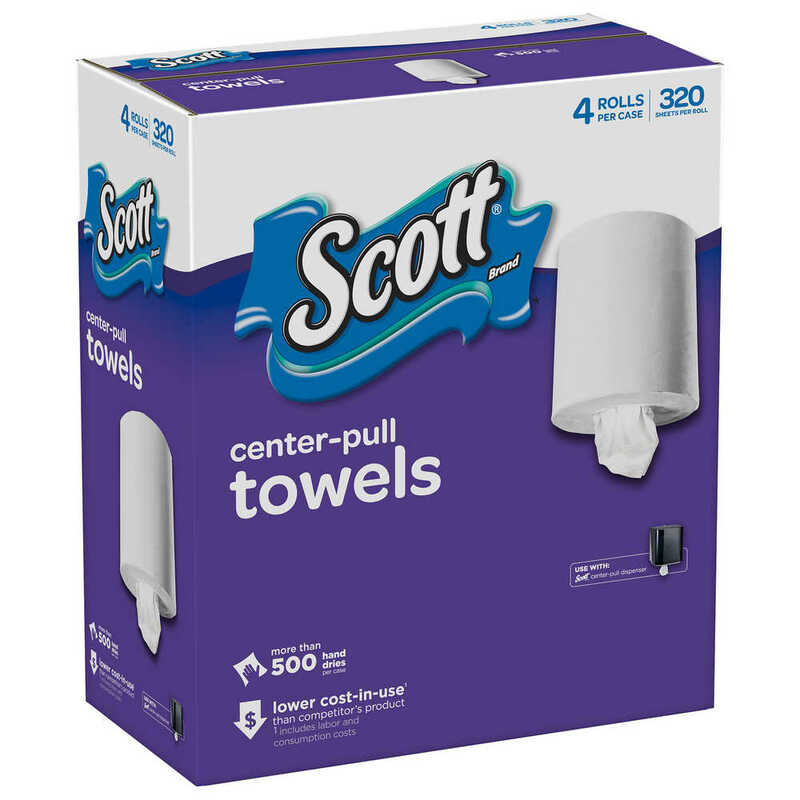 And, no matter if your business is small or large, these center pull towels come in small cases for easy storage. They are Eco Logo and FSC certified and meet EPA guidelines for minimum post-consumer waste. With Scott Brand products, you get the quality and performance you can count on – and still stay within your budget.